Ferry, the main breeder started making regular seeds during his study, in the early '90's, as an extra income. 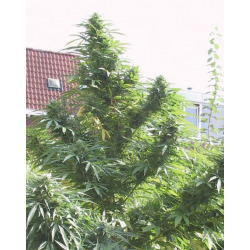 Due to high demand from the Dutch seed companies, it became a massive legal regular seed production business for seed banks during the 90's. 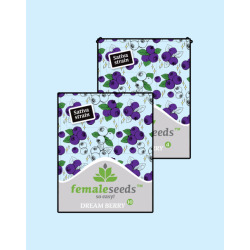 At the end of the 90's the first female seeds came on the market. They were very popular, but also very unreliable. 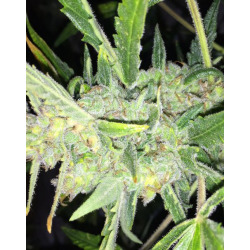 The breeders' experience in massive regular seed production along with his engineering back ground motivated him to investigate into how to produce 100% reliable female seeds. "Female Seeds has now entered a state of transition, from a company to a movement to invest in sustainable independent growing systems, like aquaponics and LED systems." "Furthermore all profits will be invested into cooperative systems, ecological projects and regenerative agriculture. Helping people to have a happy sustainable lifestyle." 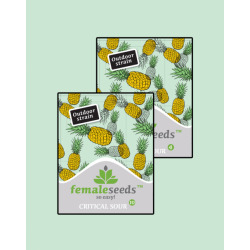 Female Seeds Es gibt 29 Artikel.